Saint Charles Baptist Church agrees to fellowship with Baptist churches who share similar core values and have intentionally chosen to join together in friendly cooperation to reach the Washington metropolitan area and the world for Jesus Christ. In a spirit of trust and cooperation we affirm and value our love for Jesus Christ and for one another; our commitment to the Bible as the Word of God; the autonomy of the local church, the local association, the state convention, and our commitment to the mission and vision of the national convention. 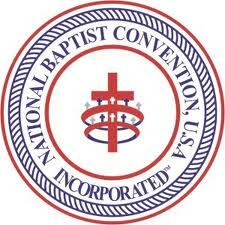 The National Baptist Convention, USA, Inc is the nation's oldest and largest African-American religious convention with an estimated membership of 7.5 million. The National President, Reverend Dr. Julius R. Scruggs has led the organization since 2009. 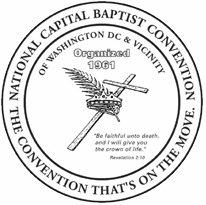 The National Capital Baptist Convention of Washington DC and Vicinity is an African-American religious organization chartered in September 1963 as an official state convention, headquartered in Washington , DC . The first years’ membership roster included some seventy (70) plus churches from the metropolitan area. The National Capital Baptist Convention provides programmatic resources to assist member churches desiring to be the Ecclesia within their community. It shall give counsel and advice to churches when requested; however, the Convention shall not interfere with the independence of the churches. It shall cooperate with organizations in their programs for Christian progress and denominational enterprises.